If you are having pain from a sinus headache, that is probably leaking into all areas of your life. You may not want to go on a date with your woman because your head hurts too much. You may not be as productive when you are working because of the pain. Maybe you can’t even push yourself to hang with your buddies because of this pain. If you have pain of a sinus headache, you need to get rid of it today and that is possible. There are many natural ways you can treat the pain from a sinus headache and you are about to uncover these miracles here today. If your sinus headache is coming from a bacterial infection, garlic should be your first option. Garlic can be put into a pot and you can boil it for about three to four minutes. You will then cover the garlic with a hand towel. You can put your head under the towel so you can start inhaling the steam that comes from the pot. Be careful as it is going to be hot. 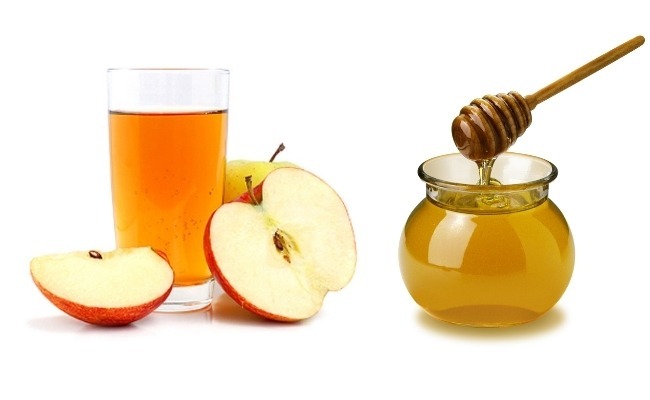 When you mix honey with apple cider vinegar you can relieve the pain of a sinus headache. Just adding two tablespoons of apple cider vinegar and one tablespoon of honey in one cup of warm water is going to help relieve your headache. You should drink this three times every day you have the headache for it to work. It is more of an acting option rather that a preventative. If you have a sinus infection that is causing your sinus headache, lemon balm can help to treat this. You can use dried lemon balm leaves and soak them in a cup or pot of water for about 15 minutes. You will gargle the water after that so it relieves your headache. Turmeric powder is what seems like a miracle cure for many health benefits. You can add this to foods you eat or smoothies you make. There are capsules you can swallow in the morning with your Ultimate Man Once Daily supplements as well. You should use this on a regular basis if you want to get rid of and prevent sinus infections and sinus headaches. There are many types of seeds that provide you with health benefits and fenugreek seeds are one of these. These are especially helpful in relieving the pain from a sinus headache. You should mix these seeds up in a glass of water. Then you will pour them into a pot and boil them. Drink this two or three times each day for full benefits. Eucalyptus oil is another way to ease a sinus headache. You can just put a couple of drops of this onto a handkerchief and hold it up to your nose. If you have a sinus infection this is going to double in effectiveness. When you have a sinus infection your sinus membranes are painful or damaged. This can lead to a sinus headache. If you want to treat this, you can drink boiled tomato juice twice a day. These are some of the ways you can relieve the pain of a sinus headache. Now that you know this you can make sure you don’t keep suffering from a sinus headache from this point forward.